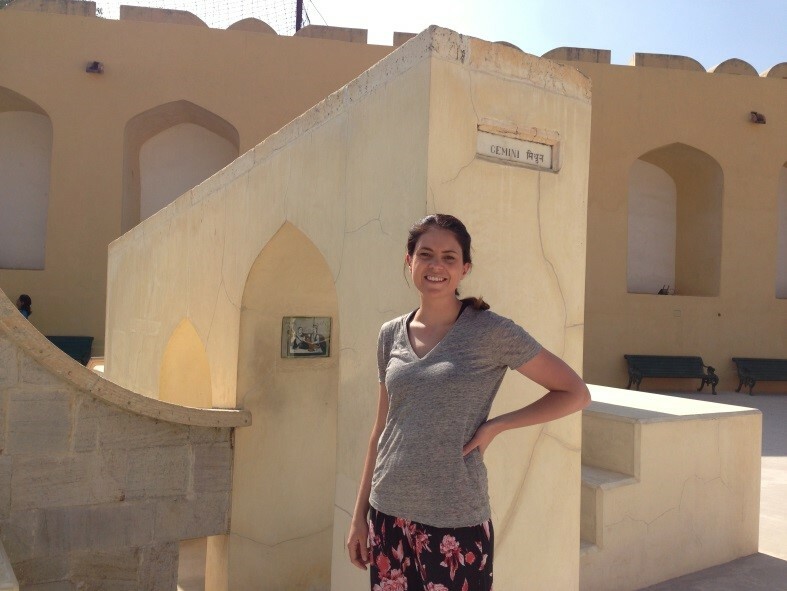 OT lecturer Nerida Hyett far from home at the Taj Mahal. Occupational therapy lecturer Nerida Hyett is completing a PhD based on community health and innovation through OT. She was asked to contribute her story for the book Celebrating Bendigo Women, which was launched last month. Here, we re-publish an extract of Nerida’s story. It’s an inspiring account of a Bendigo person, working hard to improve the community she grew up in. “I was born and raised in Bendigo. I moved to Melbourne for a few years to complete my occupational therapy bachelor degree at La Trobe University in Bundoora, but otherwise have lived in Bendigo my whole life. Both my mother and father’s families have lived in Bendigo since the goldrush. My mother’s side (Millar, Davies and McGann) resided in Eaglehawk, and my great great grandmother was the daughter of a Chinese immigrant. My father (Hyett) was the son and grandson of the Bendigo Hyett family that once lived in the Vahland designed Eyrie house in Quarry Hill. We have a hospital ward named after our family, and one of my distant relatives was involved in the design of Bendigo’s Alexandra fountain. I would have to say that I know more of my male ancestor’s accomplishments than the females unfortunately. I have always been interested in sport and health. I am quite tall, and enjoyed netball and basketball in my teens, playing, coaching and umpiring. I love science, and I became interested in how occupational therapists’ use what people love to do to help them recover from injury and illness. Studying in Melbourne was a really challenging time for me. I am the first in my family to go to university, and at the time, my mother was single and raising four children on her own. We lived on government welfare, and I had to support myself through university. I’m glad that I did this, and it was a character-building experience. However, during my childhood and adolescence, I learnt what it is like to work very hard and struggle on very little money. I am committed to my studies and work, but I enjoy extracurricular activities, which I think keeps me balanced. I have always tried to volunteer and participate in other activities in addition to study and work. I developed a strong interest in youth mental health, and mentoring and supporting young people. This has been the focus of my clinical practice, and I worked at Bendigo Community Health Services for five years in alcohol and other drug youth services, and other programs. Following this, I also worked at headspace for two years. While I no longer work in a clinical role, I continue to support local clinicians through voluntary supervision and support at headspace Bendigo, and through coordinating the local Bendigo Mental Health Professional Network (also voluntary). I also love to travel and learn about different cultures, and for the past six years I have travelled to at least one new country every year. I think this is important for learning about different cultures, and for developing international networks for research. Even though I have always been an occupational therapist, I have changed the way I use my professional training. I worked in clinical roles, and then after I completed my Masters of Health Science (Public Health) I have increasingly focused on community projects, teaching and research. Now that I am in the process of finishing my PhD, I hope to build a research career that will give back to the Bendigo community, and address the causes of youth mental ill-health, such as unemployment, school disengagement, social isolation and disadvantage. I think I can do this by designing and implementing community-level interventions. So instead of working with one person at a time, which is typical of clinical work, I want to develop innovative and effective ways of working with communities and community groups that improve health through occupational engagement and participation, empowerment, and inclusion. This can be very difficult to do because of the way health services are planned, delivered and funded (focussed on illness management and treatment, and constrained by regulatory requirements and government control measures). So I have a massive task on my hands! I wanted to return to Bendigo after I completed my OT studies because I knew my work would be more meaningful, and I could use my education to help others in my community that might be in challenging situations, like I had experienced myself. I think I still have a lot to learn about myself and how I can contribute. I am driven by other women, and from seeing their accomplishments. Currently, at La Trobe University, my research mentors and supervisors have had an enormous influence in shaping my career path and ambitions. These women have helped me to build confidence, and have provided a range of interesting and challenging work opportunities, which have been pivotal for my personal and professional development. I could provide lots of examples. For instance, my research supervisors provided me with an opportunity to conduct part of my doctoral research in Canada. I was able to visit community food security programs in Toronto, Montreal and Halifax, and interview program leaders about their views on community-level interventions, and about how they get people involved in health promotion programs. I was also supported to complete a summer internship program in Canberra with the Australian Healthcare and Hospitals Association, Deeble Institute for Health Policy, to learn about how health policies are created and implemented, and how researchers can support this process. 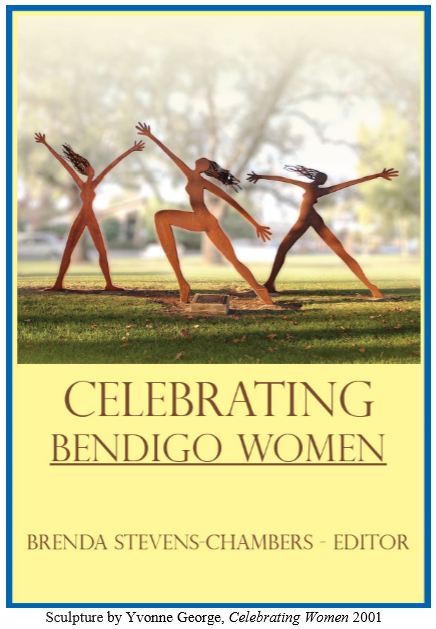 Celebrating Bendigo Women is edited by Brenda Stevens-Chambers. It contains the stories of local women from the goldrush to today. Proceeds from the book went to the Bendigo Tertiary Education Anniversary Foundation. There are now copies available to borrow in the Goldfields Library. Thank you Lauren & to the countless La Trobe Alums who were featured in this text – the profits from book sales will be directed toward bursaries for young women enrolled on the Bendigo Campus of the university.